I hope you are having a good day. My family is looking for professional elder care and Personal Care. Can't wait to chat with you soon.I hope you are having a good day. My family is looking for professional elder care and Personal Care. Can't wait to chat with you soon.I hope you are having a good day. My family is looking for professional elder care and Personal Care. Can't wait to chat with you soon. 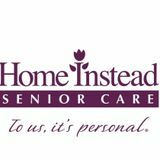 Dedicated Elder Care Needed Immediately in W Harrison!Dedicated Elder Care Needed Immediately in W Harrison!Dedicated Elder Care Needed Immediately in W Harrison!Dedicated Elder Care Needed Immediately in W Harrison! ElderCare.com makes finding Indiana senior caregiver jobs fast and easy with thousands home care and other elder care jobs available in every corner of Indiana, free profile creation to advertise your skills, free access to detailed ‘elder care wanted’ listings, privacy protected communication, helpful and knowledgeable customer support, and an easy to use platform that has been featured in Betakit, Techvibes, Mashable and The Huffington Post. Regardless of your specialization (respite care, companionship, assisted living, post-operative care, hospice care, special needs support, palliative care, private home health care, live in caregiving or other senior care services) Eldercare.com takes the difficulty out of finding great senior care jobs in Indiana!